My son spent the first 5 weeks of his life in the Cardiac NICU. We brought him home and he cried constantly and wouldn’t sleep. The only thing that seemed to stop him from crying, was being held. He would take multiple short 45min. naps throughout the day. At night the longest he slept in his own bed, was 2 hours. I would nurse him and would not be able to put him back down in his bed. He ended up sleeping on my chest. All night I would battle with putting him down until I gave in and let him sleep on me. I never got a good nights rest and was not ready for the next day handling a toddler and a newborn. I was loosing my mind. I did not like the mother or wife I was becoming because of the lack of sleep. After sleep training my son has become a much better sleeper. He learned to self soothe. He has become a thumb sucker. He will sleep at least 6 hours nightly, have one feed and go back to bed for another 6 hours. He has slept through a few nights with no wake ups. He’s come a long way. His naps have also improved. On a great day he will have 2, 2 hour naps. But right now it’s mostly one 2 hour nap and the other is usually 45min.-90min. long. He enjoys his bedtime/nap routine and seems to look forward to his bed. He instantly gets cozy when put in his bed for sleeping. Our lives have greatly improved as I feel more rested and can function throughout the day. I also now have a baby who is not constantly taking short cat naps, is eating better and is much happier.  I loved with this sleep training program that I didn’t feel like I was abandoning my son and letting him cry it out. I was right there with him until he feel asleep and would go right back to the same spot if he happened to wake up. I liked the consistency of it and how quickly it worked getting my son to sleep better. To parents whose child has a sleep problem, I totally get it. I was there, frustrated and tired and I finally got to the point where I couldn’t take it anymore. I knew I had to teach my son to sleep as his older sister spoiled my husband and I by being a great sleeper from day one. I never like to hear my son cry, but once I finally decided to hire Melissa I was all in. There was no turning back. I knew I could do it, even though there would be trying nights and days. And for sure there were, but I kept thinking about my ultimate goal for my son and that was to get him to learn how to sleep. What worked great for me during those trying nights was putting my ear buds in and blasting music until my son was finally asleep! Melissa also gives great guidance and does warn you a night could be more challenging than the next. Being mentally prepared also helped me.